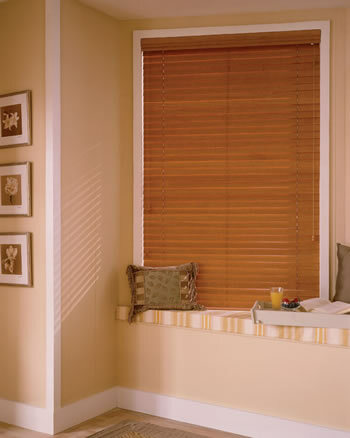 Wood blinds are commonly known as Venetian blinds. Horizontal wood slats are joined by a corded pulley, which gathers all the slats at the top of the window to reveal the view. Or, the slats can be set at an angle to allow light to travel through the blind, all the while still retaining some level of privacy. 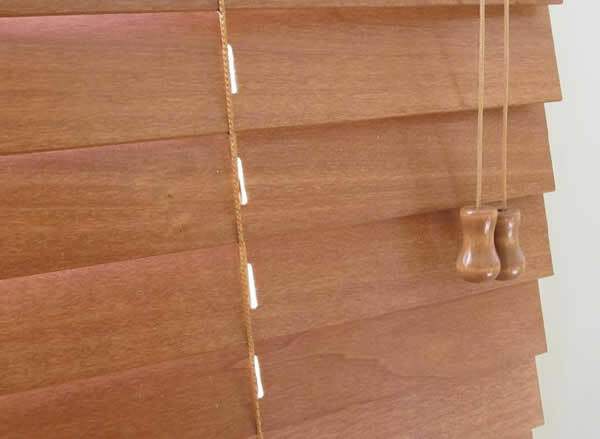 Wood blinds come in a number of finishes, stains, woods, colors and sizes. Wooden Venetian blinds are also available as vertical blinds. They are manufactured with wider slats, and they operate in virtually the same way as the horizontal blinds. Although instead of being drawn upwards to reveal the window, they will draw to one side, gathering in a vertical bunch. Blinds Chalet announces a sale on their popular woven wood roller shades. Roller shades are most often employed during the summer months or for homes in warmer climates. They allow light to filter in while minimizing glare and reducing the amount of heat that enters a home. Spring and summer are some of the most popular seasons for purchasing woven wood roller shades.Their weave allows wind and air to flow through while creating a privacy barrier. They block glare and the heat of the sun, while offering appealing patterns and designs. 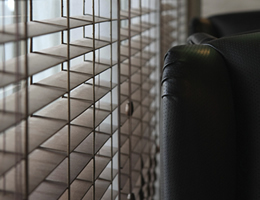 Have you started redecorating your home only to discover your blinds need to go? Have no fear, in just a few simple steps you can purchase some custom blinds to go. Cheap wooden blinds, discount wooden blinds, and affordable wooden blinds all sound like the same thing and in some cases they are. The key to finding real wood or faux wood blinds does not rely so much on the cost but on the manufacturer. All blinds come in two basic options, horizontal and vertical. Wood blinds are no different. Choosing between the two will greatly depend on your space, need and personal preference.